Unique-Desire: New Series - Sailor Moon! I'm going to be doing a new series inspired by my favorite guilty pleasure: Sailor Moon. Sailor Moon was the first anime I ever saw, my brother introduced it to me when I was about eight years old I think, and ever since then i've loved it. Ive been wanting to do a group of looks inspired by the characters for about a year now. I finally made up some facecharts for all of them so Im going to start posting the looks. Im going to really enjoy this. The story revolves around a young girl, Usagi Tsukino, who lives in japan. When she is in junior high, a black cat by the name of Luna falls into Usagi's life. ﻿Luna tells her that she has been sent from the past by Queen Serenity(Usagi's mother from the past) to awaken the Sailor Scouts: Sailor Mercury, Sailor Mars, Sailor Jupiter and Sailor Venus, including Usagi, who transformes into the loving and brave Sailor Moon. Together the scounts encounter various villians and foes who, most often, are after some sort of energy or power living within the humans of Tokyo, Japan. Along the way Usagi falls in love with Darien/Tuxedo Mask. Him and the other scouts such as Sailor Pluto, Sailor Uranus, Sailor Mercury, Sailor Saturn, and Sailor Mini Moon help the Inner Scounts on their quest to protect love and Justice. In the past, The Silver Millenium, she was Princess Serenity, Princess of the moon, daughter of Queen Serenity. Her Gaurdians and best freinds were Sailor Mercury, Mars, Jupiter and Venus. Her forbidden lover was Prince Endymion, Prince of the earth. A great terrible evil occured in The Silver Millenium which destroyed everything. This forced Queen Serenity to send her daughter and her freinds to the future to protect life if this terrible evil should ever rise again. In the present, Usagi is just an average school girl. A little ditsy and a crybaby who loves video games and hates school. One day she saw a bunch of boys harrasing a kitty, Luna, and shooed them off. Luna revieled to Usagi her past life and her present responsibilities. Thus she transformes into Sailor Moon. Her and Luna must search to find the rest of the Sailor Scouts to protect earth. In the future, she is Neo Queen Serenity. Queen of Crystal Tokyo. She marries Prince Endymion and has a daughter, Small Lady(Sailor Mini Moon). In the Past, he is Prince Endymion, Prince of the earth. Him and Princess Serenity are lovers. 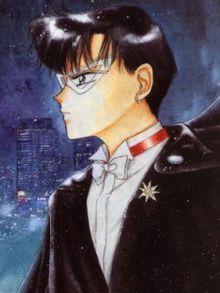 He also is sent to the future by Queen Serenity to help protect Sailor Moon and the fellow Scouts. 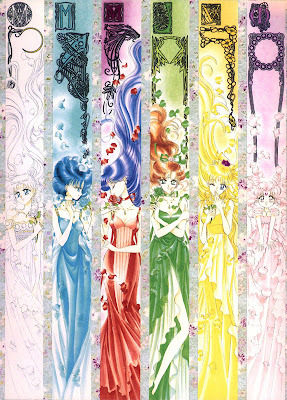 Rini is the daughter of Neo Queen Serenity and King Endymion. She is formally named Small Lady. Neo Queen Serenity sends Rini to the past(present Tokyo) to train with the fellow scouts. 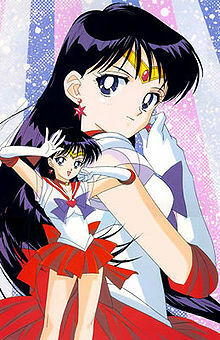 Her best freinds are Sailor Pluto and Sailor Saturn. In the past, she was Princess Mercury and the gaurdian/freind of Princess Serentiy. Queen Serenity sent her to the past to help protect Serena. 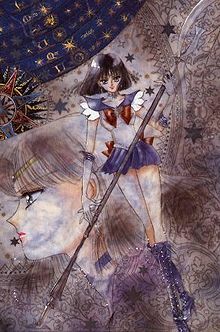 During the Silver Millennium, Sailor Mars was also the Princess of her home planet. She was among those given the duty of protecting Princess Serenity of the Moon Kingdom. 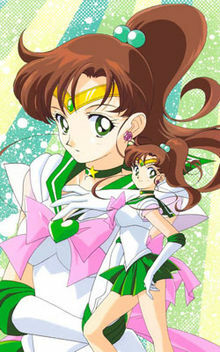 In the Silver Millennium, Sailor Jupiter was also the Princess of her home planet. She was among those given the duty of protecting Princess Serenity of the Moon Kingdom. Lita is the fourth member of the Sailor Scouts to be discovered by Sailor Moon, and serves as the "muscles" of the group. In addition to being physically strong, she is able to manipulate lighting and uses some plant-based powers. 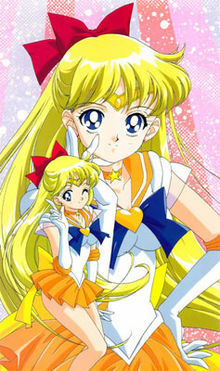 During the Silver Millennium, Sailor Venus was also the Princess of her home planet. 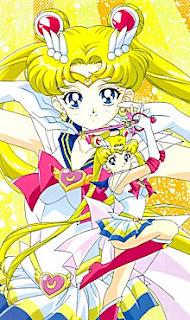 She was the leader of those who protected Princess Serenity of the Moon Kingdom. Mina is the fourth member of the Sailor Team to be discovered by Sailor Moon, though she was the first to awaken to her powers(As Sailor V). 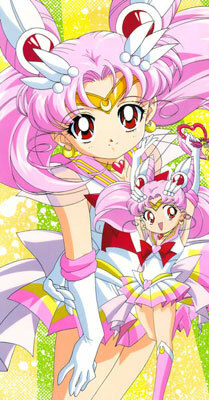 She serves as the leader of the Guardian Senshi who protect Sailor Moon. She uses light and energy based powers, and often utilizes a special chain for melee combat. During the Silver Millennium, Sailor Pluto was also the Princess of her home world. She was among those given the duty of protecting the solar system from outside invasion. 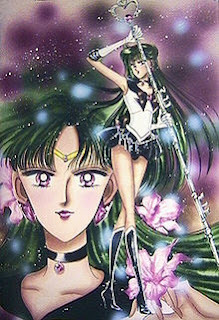 As Sailor Pluto she is stationed at the Door of Space-Time, with the specific duty of forbidding anyone to pass through it without permission. She has powers that relate to both time and the underworld. During the Silver Millennium, Sailor Neptune was also the Princess of her home planet. She was among those given the duty of protecting the solar system from outside invasion. 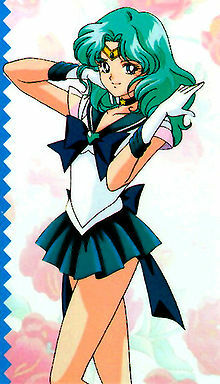 Sailor Neptune fights alongside her partner and lover Sailor Uranus in defending the Solar System from outside threats. She is elegant, sophisticated, capable of sharp anger, and sometimes cold. She is fully dedicated to her duty as a Senshi. 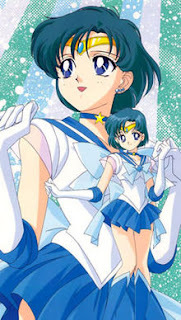 During the Silver Millennium, Sailor Uranus was also the Princess of her home planet. She was among those given the duty of protecting the solar system from outside invasion. Haruka is a stubborn, protective individual, but is also strong-willed, capable, charming, and occasionally even doting. Haruka and Michiru are lesbians. 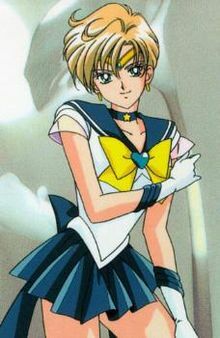 Other girls often flirt with her, confusing her gender because of her tom boyish appearence.Sailor Uranus is one of the more aggressive Scouts. Sailor Saturn was also the Princess of her home planet. She was among those given the duty of protecting the galaxy's Outer Rim. Hotaru becomes friends with Rini. She did not have friends until she met Rini and Serena. She has very many health issues which made her an outcast in school. Her mother is dead and her father makes a deal with the evil Pharoh 90 in order to save his daughter from her illness. In the end she becomes Mistress 9, an evil acomplise of Pharoh 90, and must fight to save herself from within. Im going to start with the outer scouts and move foward into the inner scouts, and finally Sailor Moon herself. im sorry i saw this after your sailor saturn look, i cannot wait for these! totally dig it. i just finished watching the series. felt like i was 10 years old again.